71% of businesses use Instagram as a way to connect with customers. 80% of users say they follow at least one business on the app. 60% of customers say that they’ve heard about a product and service through the platform. However, like other social media platforms, it can be difficult for entrepreneurs and small businesses to stand out. Getting noticed on Instagram is all about engagement. While you may only have a few hundred followers, creating posts that people like, comment, and share will help your posts rise to the top of the feed. Find ways to create authentic connections with your followers. Authentic is the keyword here. Anything you can do to encourage followers to respond in unique and authentic ways is helpful. This might include asking people to respond to a question or send you a direct message. Instagram’s new polling features also provide a great opportunity to allow people to respond. Use the stories and posting features strategically. We all know how annoying it can be when a person’s story and post are the exact same thing. As a business, you can create greater engagement by continuing the conversation across the two places. Use stories to extend what you say in your post. Use the post as a foundation for something you talk about in your stories. Make them work together. Include the right hashtags. By taking time to research which hashtags are being used by others in your industry, it allows Instagram to say “This is a fitness account, so I’m going to show this content to people who have indicated interest in fitness.” This is very helpful for showing up on the trending page and reaching new people who might not know your business exists. 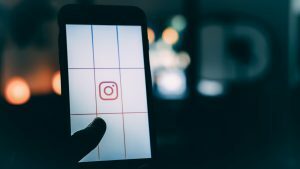 After their announcement earlier this year that brands can begin scheduling posts, many businesses have upped their game on Instagram. My hope is that these tips will help you identify a few fun and creative ways you can use it to engage customers. Even if you decide it’s not the right choice for your business, you will learn a lot, which you can apply to all other aspects of marketing.